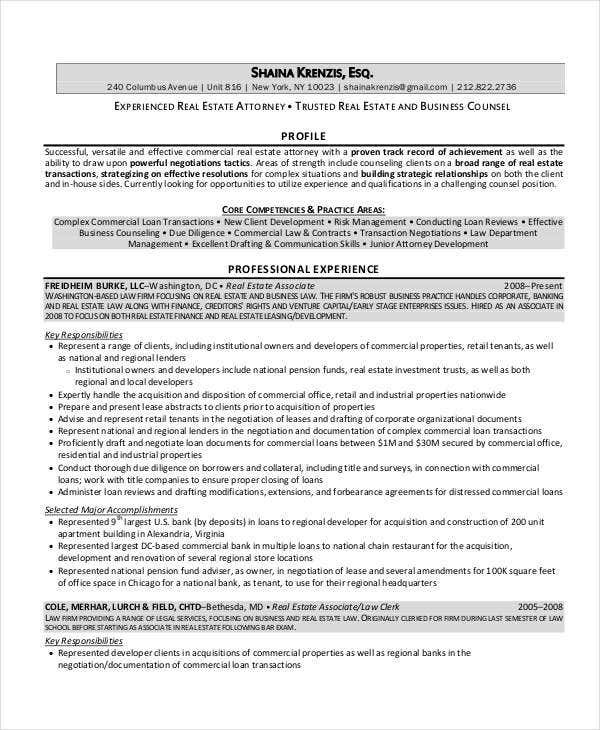 A resume is a brief written account of personal, educational, and professional qualifications and experiences as that prepared by an applicant for a job. 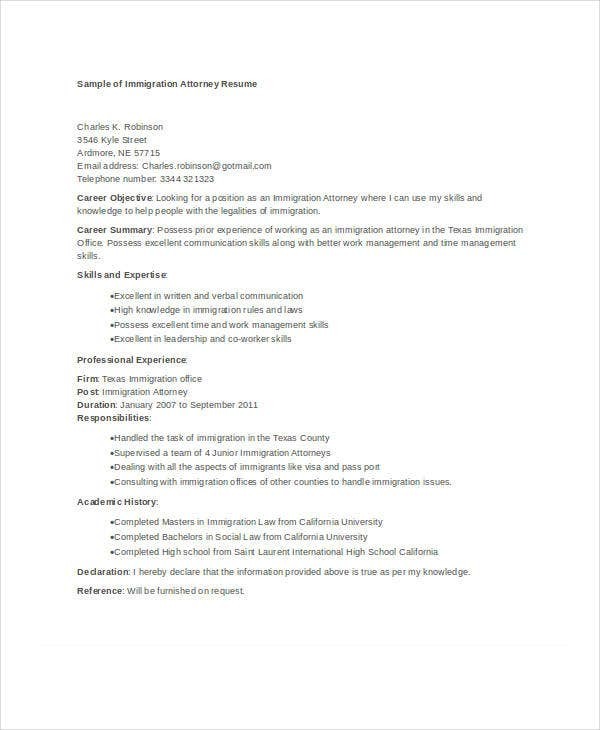 Resume samples are the most important tool to all job seekers—be it someone who is seeking for a blue-collar job or an administrative post—needs a resume, even a lawyer. An attorney is a lawyer who has graduated from law school and supposedly “practiced” the study of law as a career. 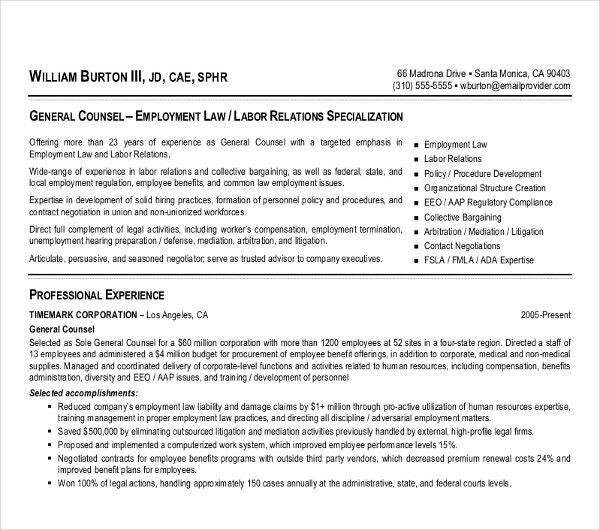 We’ve created resumes specifically for attorney applicants. 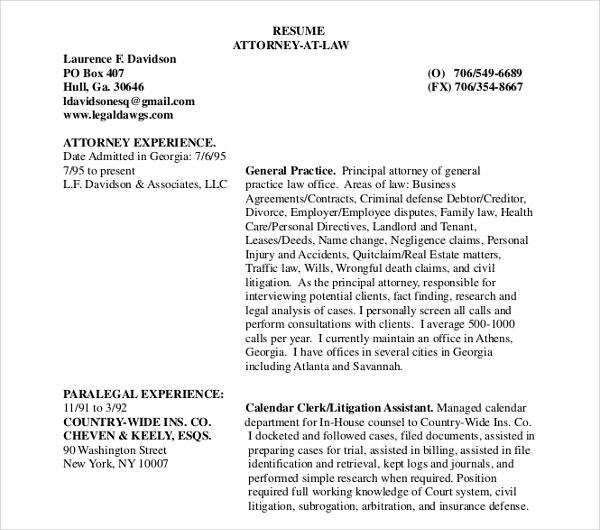 This page offers a variety of attorney Resume examples that you can choose. 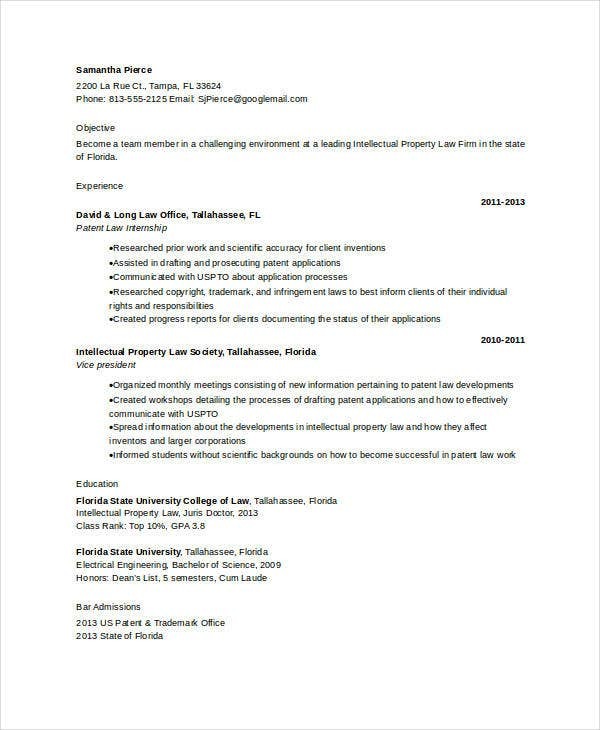 Go ahead and take time to look into our resume formats. This will surely help you big time. Attorneys, apart from doing their main function of the law, they can also act as a legal counselor for their clients. They don’t just interpret the law, they also need to apply or impart their knowledge of it to grant the needs of their respective clients. They are also the first point of contact for people and organizations. Great communication skills. 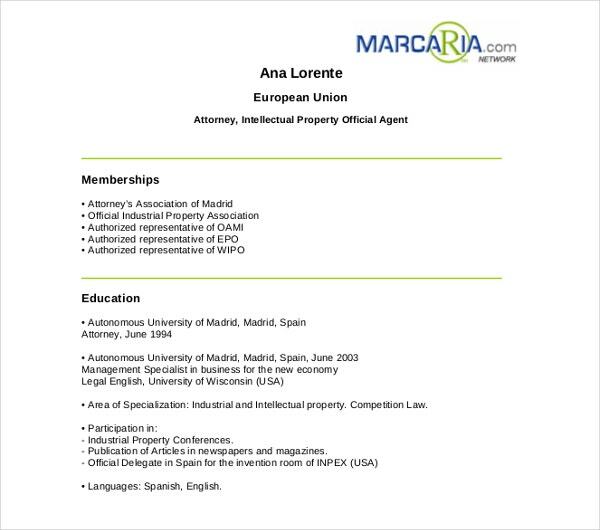 Attorneys must be verbally coherent, possess great written communication skills, and also an active and good listener. Great researcher. 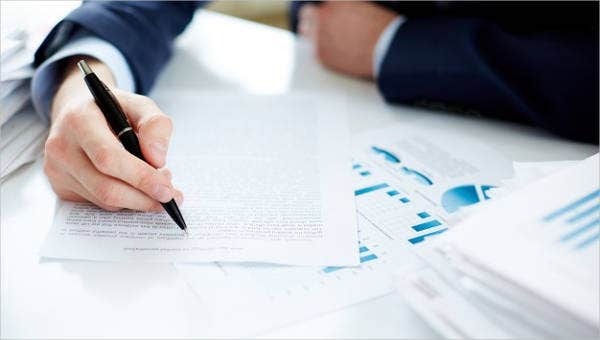 An attorney should be able to do research in a prompt manner to understand the client’s needs, to provide a further explanation (e.g., sample cases) for the client, and to prepare for legal procedures. Cleverness. Top-notch attorneys are not only lucid and investigative, but they also show a strong deal of cleverness when it comes to problem-solving. Diligence. During the basic years, a fresh law school graduate may face intense working hours; however, one should be patient and fixate on deserving rather than yearning. Searching for more related articles? 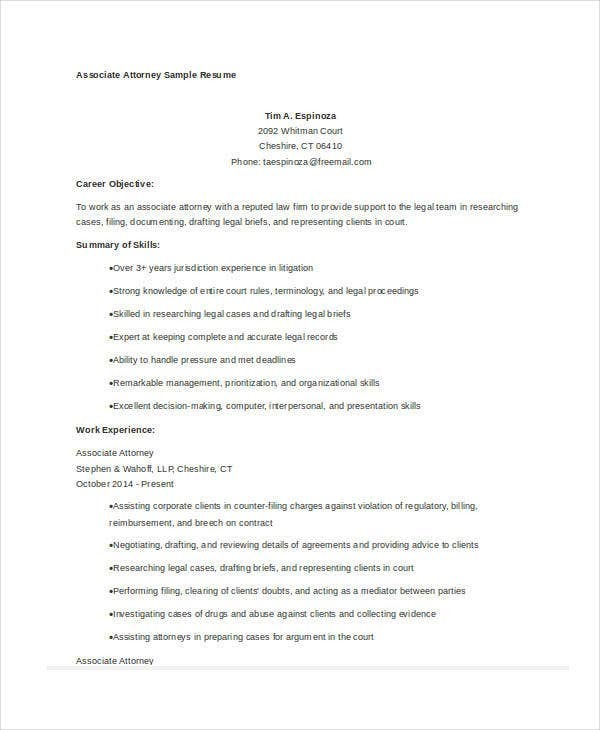 Refer to our Lawyer Resume Template and Functional Resume Template. You see, there is more to this job than meets the eye. If you have all the traits to become one, then that is an advantage. You are one step ahead in becoming an effective and great attorney. But wait, you can’t just apply for the position without being prepared. And one of the things you need, which also serves as your tool in the job seeking world, is a simple resume. Of course, no recruiter will conduct an initial interview without it, since it is their basis for knowing your background and if you have the potential for the job or not. We don’t want you to go through the hassle of creating one, we know you have a lot of things to prepare for. 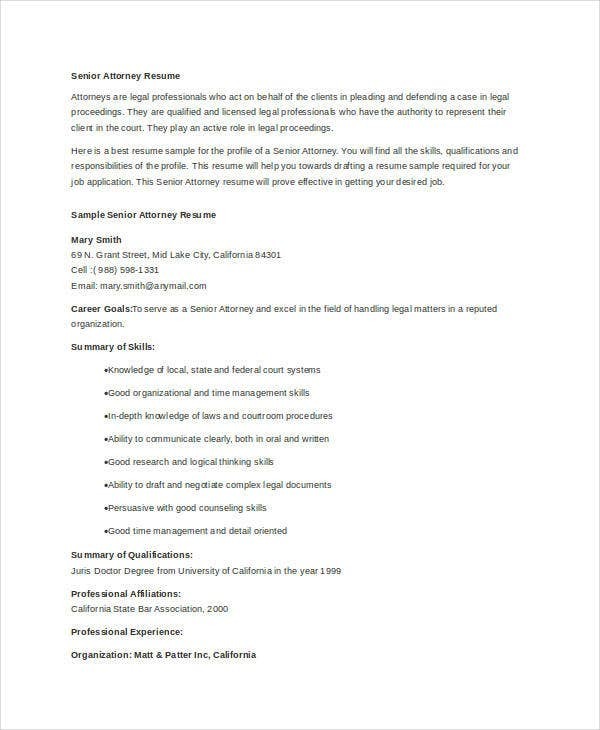 So we’ve gathered these 9 attorney resume templates that for sure you will find useful. Each contains relevant details related to the said job title. 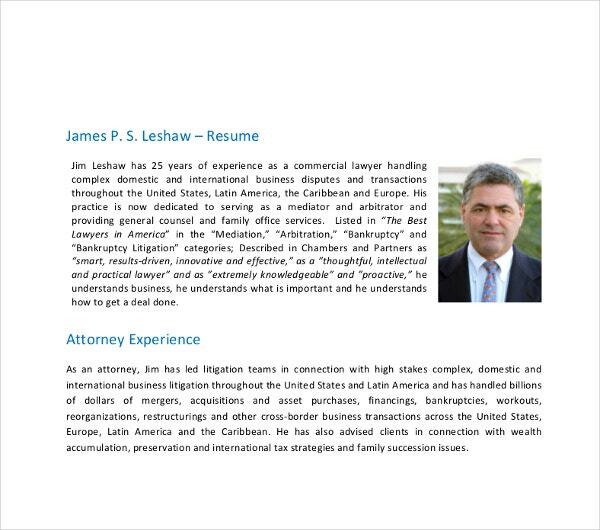 It is also a way for you to know the things to be included in an attorney’s resume. These resumes are highly adjustable, meaning you can alter them depending on what you want to change or add. 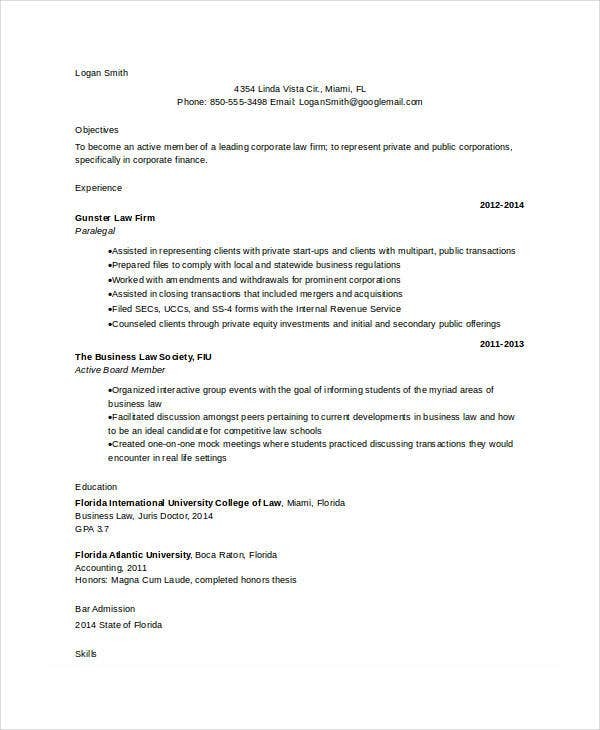 Plus, these resume templates can be downloaded anytime and anywhere. Looking for political or government job resumes? 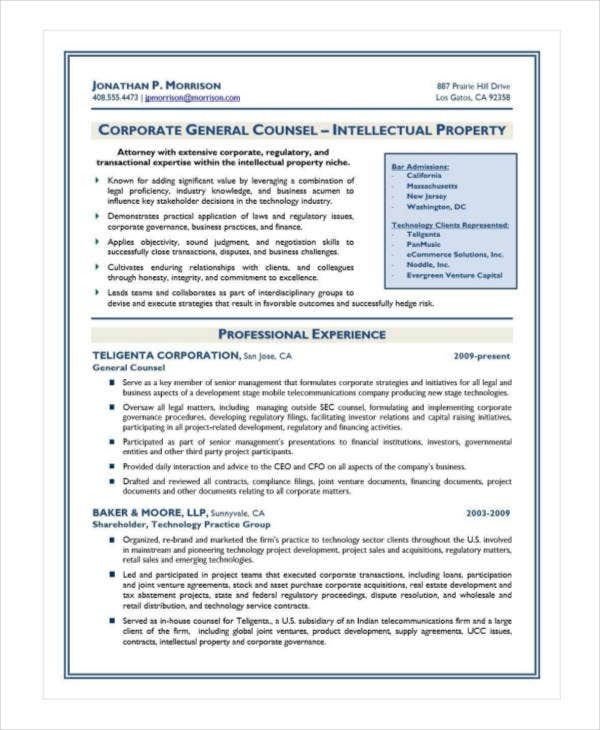 Our Federal Resume Template is the answer. Doctor Resume Templates – 15+ Free Samples, Examples, Format Download!